Carla and Laura talk about mergers and acquisitions focusing on key factors that drive success and failure. They are seasoned M&A veterans, participating in many transactions and both have seen similar themes. This interview provides insights and recommendations to improve the probability of success for your next transaction – whether you are acquiring, selling or involved in the integrations. Laura works as outside counsel focusing on corporate finance. She represents private equity funds financial, strategic and lifestyle companies as both buyers and seller. She structures, negotiates, and protects investment value in M&A transactions. She has represented investors and lenders at every level of the capital stack. 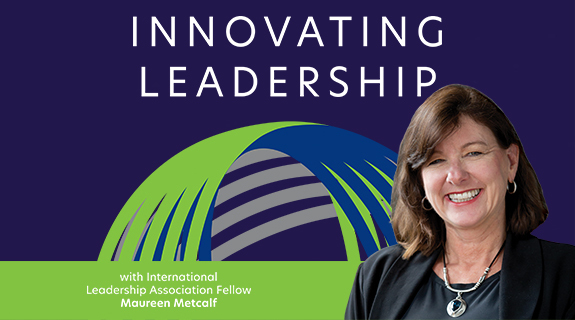 https://www.voiceamerica.com/show/2472/innovating-leadership-co-creating-our-future 23/04/2019 11:00 23/04/2019 12:00 Innovating Leadership, Co-Creating Our Future https://www.voiceamerica.com/show/2472/innovating-leadership-co-creating-our-future Carla and Laura talk about mergers and acquisitions focusing on key factors that drive success and failure. They are seasoned M&A veterans, participating in many transactions and both have seen similar themes. This interview provides insights and recommendations to improve the probability of success for your next transaction – whether you are acquiring, selling or involved in the integrations.